Jesus “Renuente” Soto Karass (28-12-4, 18 KOs), the welterweight warrior of Los Mochis, Sinaloa, Mexico, will return to the ring against fellow veteran Juan Carlos “Merengue” Abreu (19-3-1, 18 KOs) in the 10-round main event of Golden Boy Boxing on ESPN on November 2 from Casino Del Sol in Tucson, Ariz. ESPN and ESPN Deportes will transmit the fights at 11:00 p.m. ET/8:00 p.m. PT. ESPN3 live coverage of the undercard fights will begin at approximately 9:30 p.m. ET/6:30 p.m. PT. champions and contenders, including tough fights against two-division champion Marcos “El Chino” Maidana, current unified welterweight champion Keith “One Time” Thurman, and a pair of all-out wars against Yoshihiro “El Maestrito” Kamegai. Soto Karass also possesses a spectacular 12th-round technical knockout victory against former WBC Welterweight Champion Andre Berto. Soto Karass is coming off a back-and-forth war against former WBA Interim Super Lightweight champion Mauricio “El Maestro” Herrera and is guaranteed to bring fireworks every time he steps into the ring. Abreu himself has also faced tough competitors, including WBA Interim Super Lightweight Champion Pablo “El Demoledor” Cesar Cano and former two-division world champion Humberto “La Zorrita” Soto. The 30-year-old native of the Dominican Republic will look to take another chance at rising in the welterweight rankings, but only if he can defeat his toughest challenge yet against Soto Karass. Tickets for the show currently on sale and range from $45.00-$125.00 (includes convenience fee). Tickets are available for purchase at the Casino Del Sol gift shop and online at casinodelsol.com. 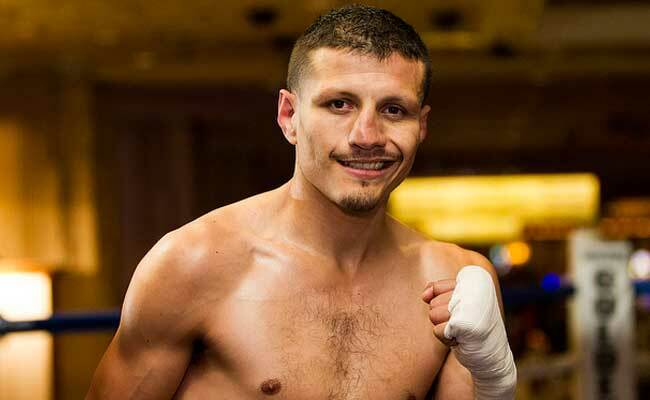 Soto Karass vs. Abreu, a 10-round welterweight fight presented by Golden Boy Promotions in association with Showdown Promotions and sponsored by Tecate, Born BOLD and Hennessy “Never Stop, Never Settle” takes place Nov. 2 at Casino Del Sol in Tucson, Ariz. Doors open at 5:00 p.m. ESPN and ESPN Deportes will transmit the fights at 11:00 p.m. ET/8:00 p.m. PT. ESPN3 live coverage of the undercard fights will begin at approximately 9:30 p.m. ET/6:30 p.m. PT.